I had a 6 day session planned on the syndicate but 2 days in only 1 carp had been banked in over 9 days and it didn’t look like they would get on the feed anytime soon so at 5am I decided to head over to a club water and angle for some carp that hopefully would be up for a feed. By 6am I arrived at the lake to find no one was fishing so with it being so dark still at this time of the day I quickly boiled the kettle and put my head torch back on. I only had to visit 3 swims and heard fish crashing out. That was enough for me so the gear was unpacked and setup. As the light broke I could see more and where the fish were showing my ever faithful combi rigs were cast out first time with 12 freebies pulted over the top. By the time I put the second rod out the first was away, after a short scrap a 14lb common was landed, the rod was quickly put back onto the same spot and again another 12 baits topped up the spot. 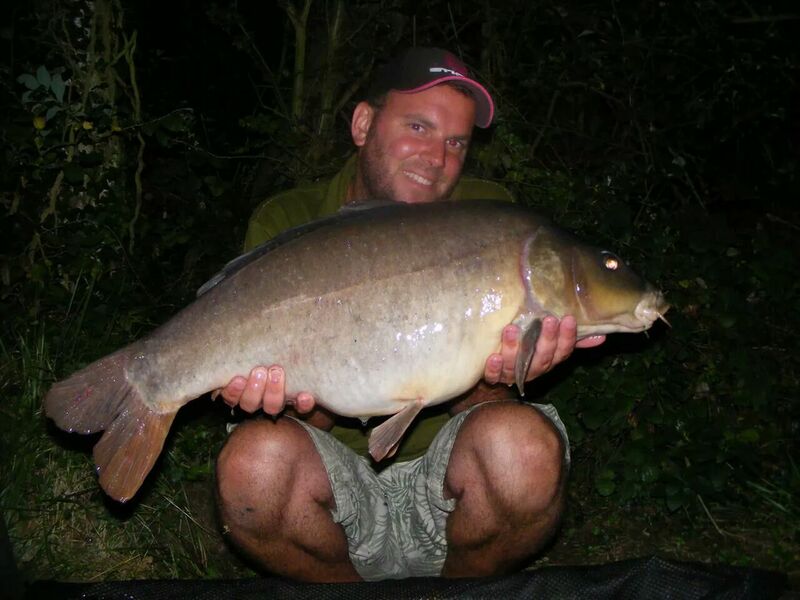 45mins later the same rod was away again this time the fight felt different and felt smaller. When I did net it I saw it was a tench but a decent sized one, so I left the fish in the net unclipped the rig from the rod and put a fresh rig on so I could be fishing still whilst weighing it. It went 8lb 3oz. As before another 12 baits were put out an hour went by and the 2nd rod signalled another take this felt a bit better in the fight and it was 19lb common. Just as the fish was released the other rod was away at first I thought I might lose this one as it padded me up but after keeping steady pressure on it, it finally gave up and within minutes it was in the net. A mirror of 17lb. After a result I decided to go home shower and replenish my food and water for the next 3 days on the syndicate. Well nothing came out from the syndicate to anyone so again I packed up at 9am and headed off back to the club water a 4hr session. I arrived at 10ish and it was still fairly quiet angler wise with only 4 fishing a quick walk and chat and I had seen a couple of carp give themselves up to where they were hiding. 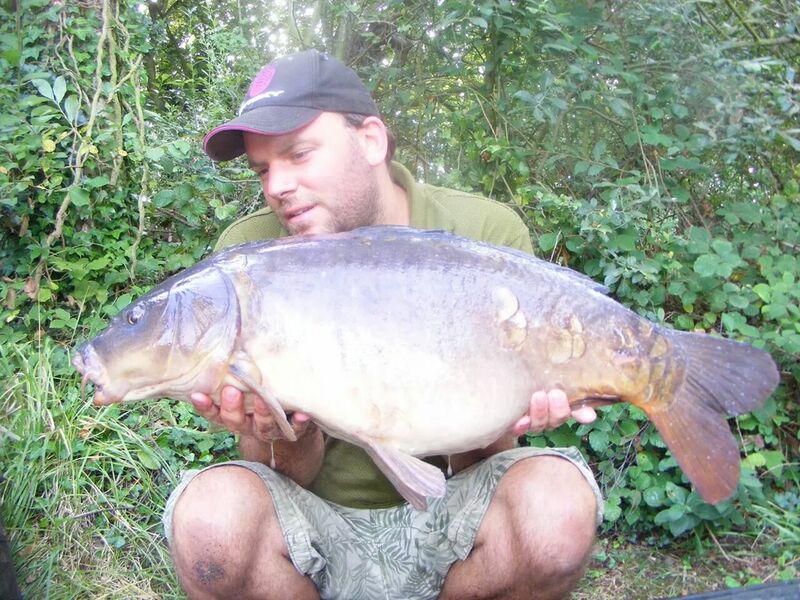 The same approach was taken 12 baits over the combi rigs cast tight towards the pads. Shortly after casting out I r3eceived a few bleeps signalling the fish were feeding on the spot, sitting by them the left rod was away the line lifting up in the water. A short fight resulted in a common of 14lb. The rig was checked for sharpness and cast back out on the spot another 12 baits topped up the spot. It went quiet for the next 90 mins but I could see the fish showing in the pads about 10 yards further inside them, I decided to put another 20 baits over each rod to tempt them back. 20 minutes later the right rod was away the fish stayed deep and lunging about in the margins I could see it was definitely an upper double possible 20lber. The common went 21.02. Shortly after the was returned the left rod was away, at first I thought I had caught a bream as it came in very easily but as it came in the margin the rod hooped over and it was tearing up and down the margin taking the other rod out. This little terror went 16lb. I only had another 30 minutes before I had to pack up so I decided to put the rods out again but with no freebies instead I used flouro hook baits, unfortunately it did work but I didn’t manage to land this one. The edges I spoke about in my previous article. 1 My hook baits are air dried for a week then placed in a glug pot and left to soak up the matching glug for 3 days. This process is repeated 3 times. When you open up a boilie you will find that the bait will still be pretty hard but as soon as that bait hits the water it is leaking attractors for hours but won’t take on the smell of the silt. 2 My freebies are also slightly glugged but only for 6hrs this is to stop the carp from guessing which is the hook bait from the freebies plus the glug is dense so it will leak into the silt and they will keep coming back for more, also with this approach you don’t need to take much bait either.